DESCRIPTION: This plan is for 30'x24' horse stable with 10' high walls (see print for exact dimensions), full hay loft, 10' wide lean-to overhang, Pine board & batten siding and shingle roof. 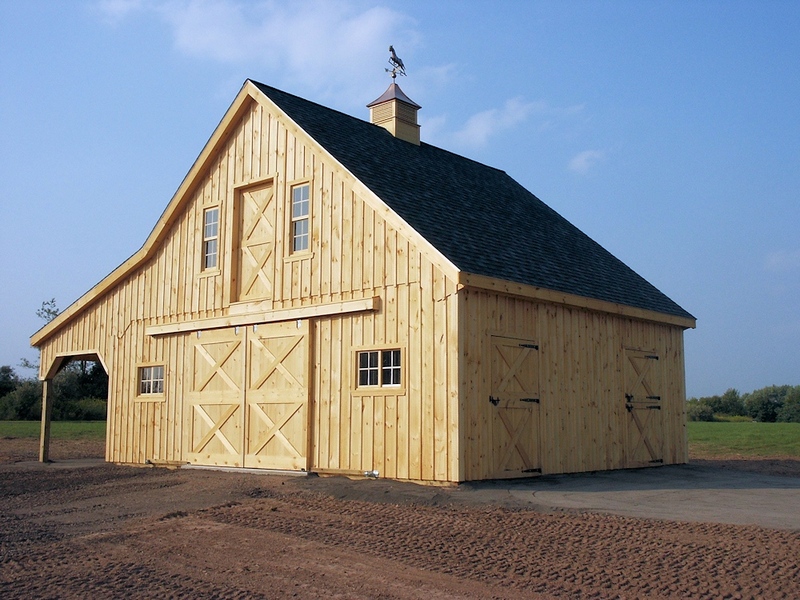 Barn has (3) 10'x12' stalls, (1) 10'x12' storage room and 10'x24' center aisle. 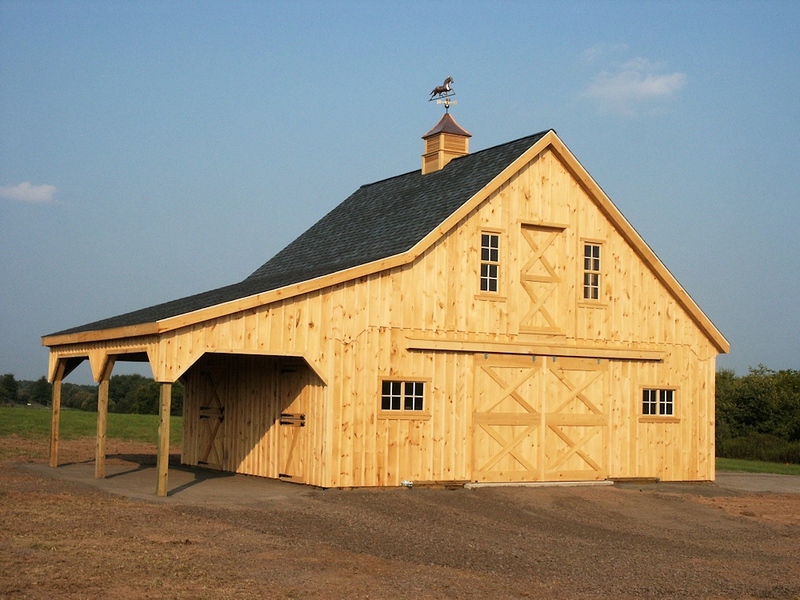 You are welcome to substitute Pine siding for Cedar siding and make some other minor changes to this barn. Please keep in mind that at the end, the look of your barn will depend on how your builder constructs the building and what size/style of windows, doors, etc. are used.